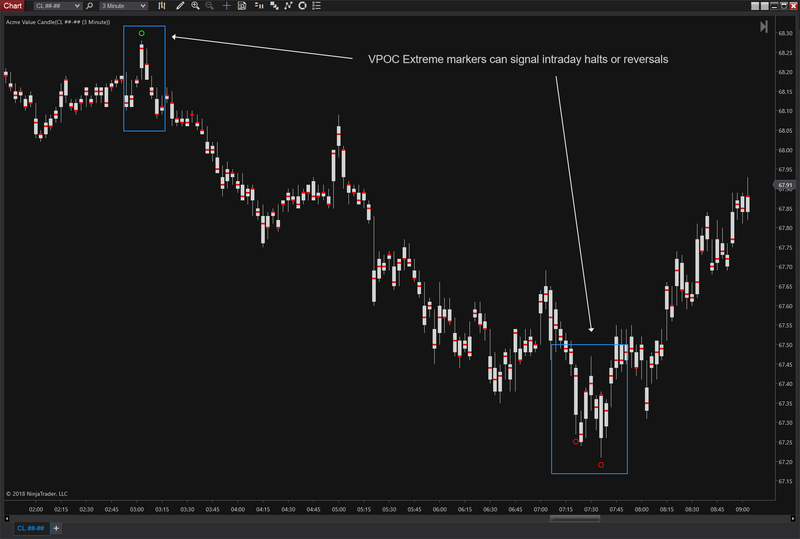 Value Candles are a whole other way to view the intraday market. 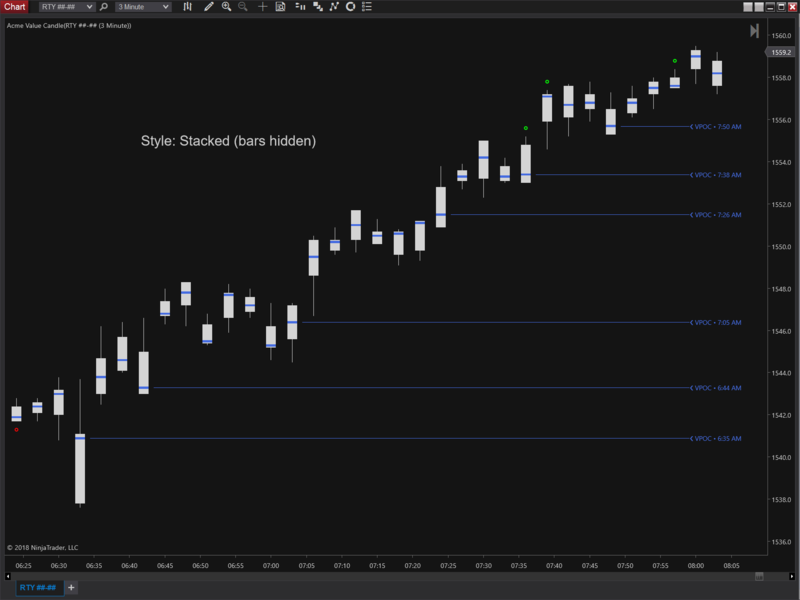 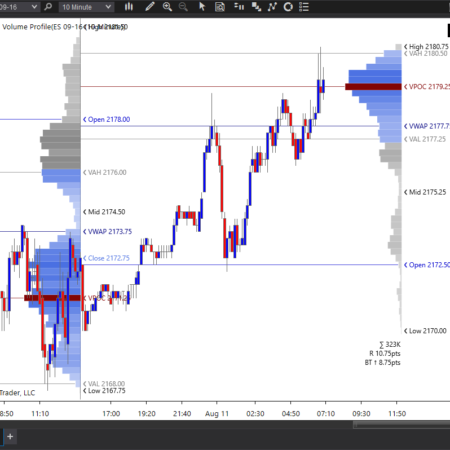 Rather than showing the open and close of a bar (which are completely arbitrary) the Value Candles show the bar range, the value area, and the VPOC for each bar. 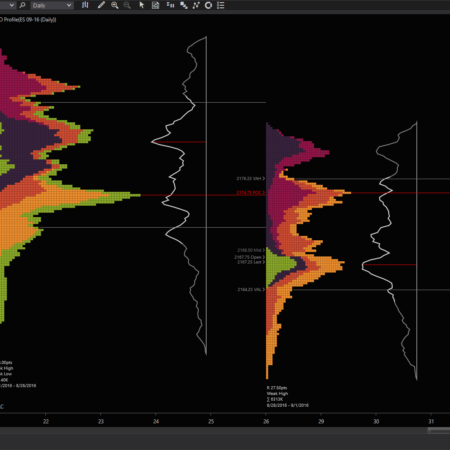 Within each bar, the value area shows the most accepted region of prices relative to the VPOC, which is the most-accepted price within the bar. 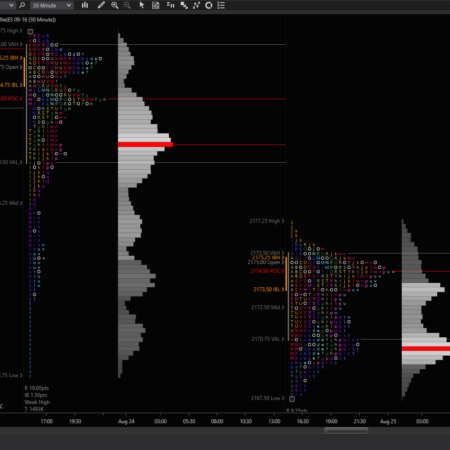 Value position relative to the bar and session range can be a powerful tell for identifying regions of price where buyers or sellers are becoming aggressive or where traders have acted too soon or too late and have become trapped. 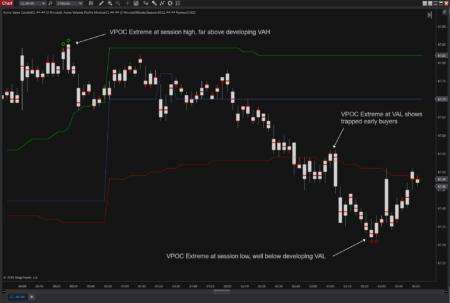 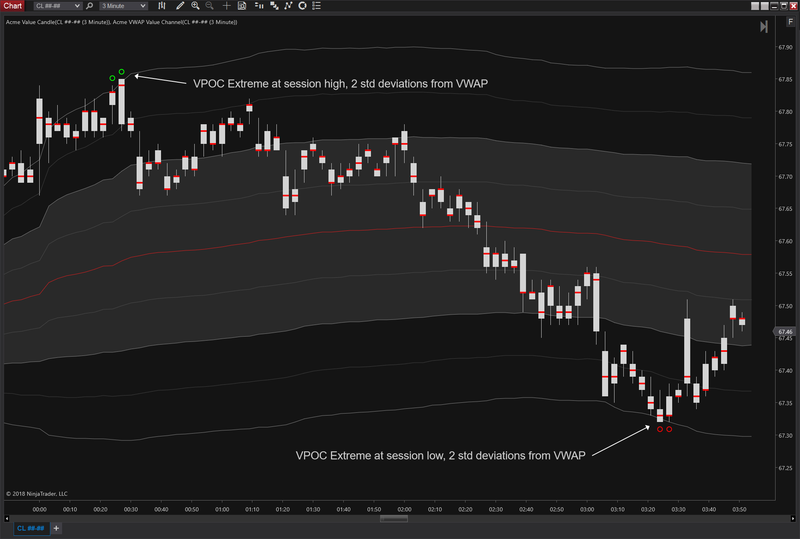 Automatically displays VPOC Extreme pattern (see images) on session highs and lows on intraday bars, and on any bar of Day or higher time frame. 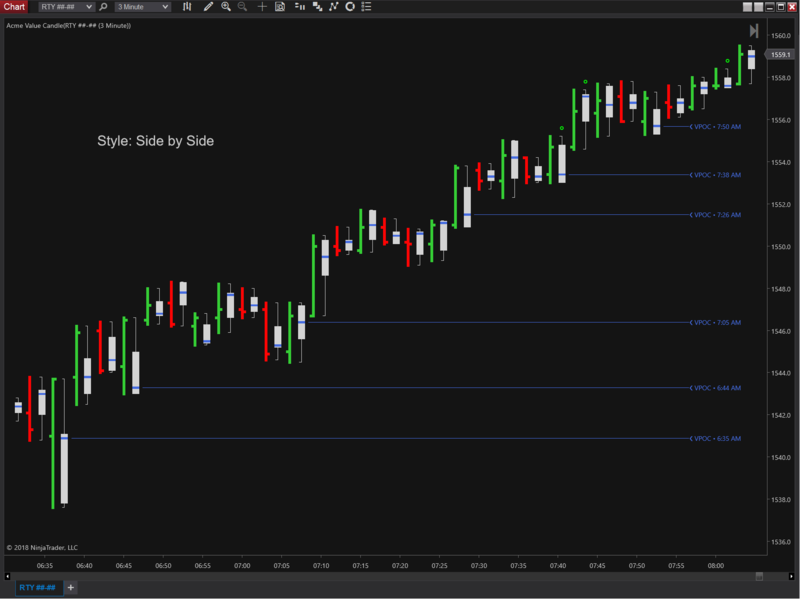 NOTE: because of the level of precision needed by this product there is no option to use minute data. 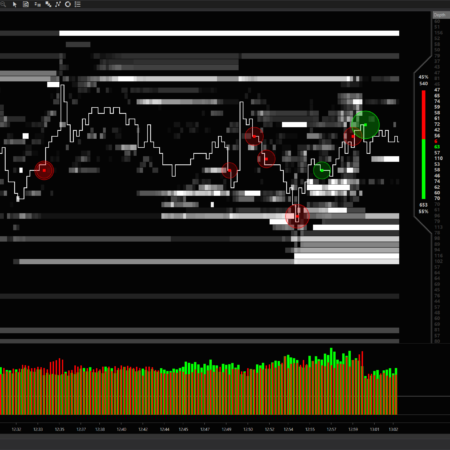 Tick data is required.